You may have seen the trailer for the upcoming movie ‘Battle of the Sexes’, starring Emma Stone as tennis legend Billie Jean King and Steve Carrell as Bobby Riggs. The story follows the famous tennis match between the two, where Billie Jean King beat Bobby Riggs, despite the continual sexist taunts regarding female players. The movie may be about an incident a few decades ago, but the sexism in tennis has definitely not disappeared with the likes of Bobby Riggs from the tennis court. Sexism in sport in general is still very much a dominant factor, as we saw in the coverage during the Rio Olympics. In the world of tennis, the recent controversial comments by John McEnroe regarding Serena Williams (he claimed that if she were to play on the men’s circuit, she would be ranked 700-something…) proved there is still a lot of pushback against women. Yet Serena continues to be the record-holder, GOAT (greatest of all time) that she is. One player who isn’t threatened by the presence of accomplished women on the court is Brit Andy Murray. He made headlines by becoming the first male player to hire a female coach (French former world number one player Amelie Mauresmo) who took him from the number 11 to number 2 player on the men’s circuit. And because of the intense scrutiny around hiring a female coach, Andy has become very vocal about gender equality and his feminism ever since. In a recent profile by Elle Magazine just before the US Open began which labeled him a “game changer”, we learned more about his background and how his ease with discussing feminist issues within tennis isn’t a recent thing, but an ingrained quality he has grown up with, thanks to one particular family member – his mom. Judy Murray is a former champion junior player who coached the Scottish national team and later became the British women’s Fed Cup captain. Today she is an avid champion of female coaches in tennis. She says her tennis coaching career came about out of necessity more than anything else, but it certainly set Andy on the path to eventually being coached by another women and not feeling that it was anything other than normal. “Some argue, Oh, well, she’s a woman, so she can’t understand the men’s game. But then how can a man understand the women’s game? I obviously grew up getting coached by my mum, so I didn’t see any issue. But even I—when I came on the professional tour, there were no men coached by women, so looking for a coach, you assume you’re looking for a man, but when you get older you realize…well, no, it doesn’t have to be that way,” said Andy. 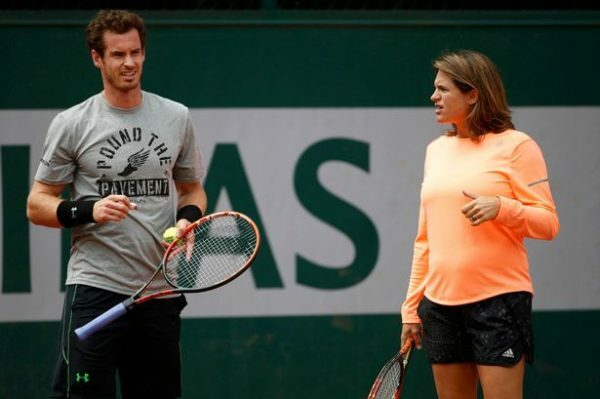 Because he is still the only high profile men’s player to work with a female coach, Andy has seen the sexism up close and isn’t afraid to call it out. “The amount of criticism she got in comparison to any other coach I’ve ever worked with—it’s not comparable at all. Now, when I lose a match, I get the blame. When I was working with her, it was always her fault,” he says of his time with Amelie Mauresmo. He also addressed the tired excuse that women are “too emotional” to lead, which is the kind of comment that isn’t just heard in sports. Instead Andy pushes back on this trope, outlining how it is not just a “female” thing. “There’s a perception that women don’t handle pressure as well as men do, but it’s not true. A lot of the top men are very, very emotional on the courts. Not all of them. But some of them. And I would be one. I don’t handle my emotions particularly well in comparison to a lot of the women. If you talked about the worst-behaved tennis players, most of them would be men,” he said. Case in point, John McEnroe. His outspoken thoughts on gender equality have certainly made an impression on some female players, like American up-and-comer Nicole Gibbs, 24, someone who is passionate about social issues according to Elle, also who recognizes the importance of his words. “He’s labeled a radical feminist, but his attitude is, This is obvious,” she said. It shouldn’t be that in 2017, someone like Andy Murray is an anomaly speaking out about how ridiculous gender stereotypes are. But perhaps his presence will eventually outshine the Bobby Riggs’ and John McEnroe’s of the game to show that real men aren’t threatened by women who are equal with or even out-play them. 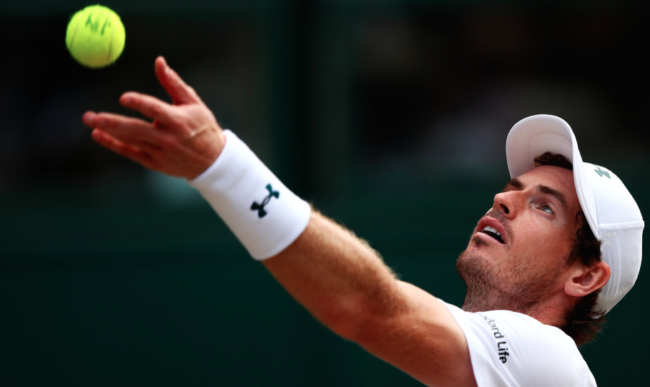 Watch his response to a journalist in the video below after losing to Sam Querrey at Wimbledon this year, to see just how easy it is to be a champion not only on the court (he has won Wimbledon twice) but also of gender equality in tennis.